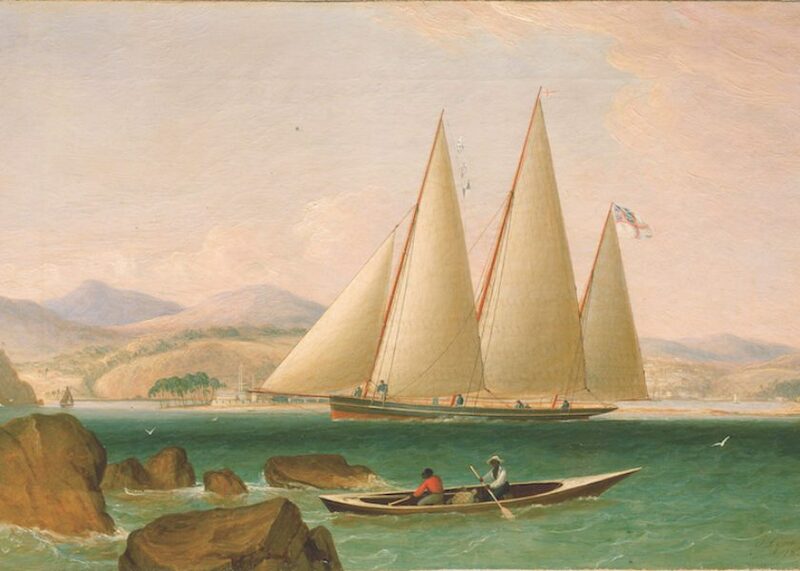 Photo credit: ‘A Bermuda schooner yacht offshore’, oil on canvas by John Lynn, 1834. National Museum Bermuda. The Bermuda Rig, that innovative sail design that is still, some 400 years after it emerged on local waters, being used on the vast majority of recreational and racing sailboats around the world. But why did it develop here? 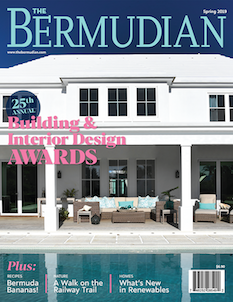 What were the conditions so special to Bermuda that precipitated such an outstanding and lasting technical advancement? The answer, at least in part, can be found in a local phrase used frequently and frequently used incorrectly. In Bermuda, if you are standing in Somerset you are “up the country”, conversely when trying to get your bearings in St. George’s just know you are “down the country”. Is that because Somerset is higher than St. George’s? Well yes, but only in sailing lexicon. The phrases would have made much more sense to a 17th Century courier with a package, or perhaps some contraband, that they needed to get to the other end of the Island. For a very long time, centuries even, Bermuda was bereft of decent roads to traverse the land. Most people travelled on small boats, with sailing the preferred mode of powering the boats (who wants to row to Somerset?). Sailing around Bermuda back then could be, and still is, a lovely experience, except for the fact that our archipelago lines up lengthways with the prevailing South Westerly breeze. Without getting too technical, one need only understand that sailing straight into the wind is beyond the laws of physics. Instead, wind-driven mariners have to sail off in one direction for a while, at an angle to wind, and then turn back the other way, gradually working back and forth and “up wind” to their destination. The more acute the angle to the wind the shorter the trip. Coming the other way the wind is behind that boat and pushes it pretty much straight “down wind” (to St. George’s). So most of the time Somerset was a very long trip “up the country” from St. George’s and Bermudians, therefore, had a lot to gain from sailing as efficiently as possible towards the direction of the wind. 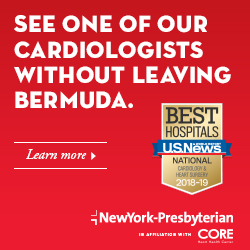 Which brings us to an interloping Dutchman who arrived in Bermuda in the early 1600s – perhaps by shipwreck, which was one of very few ways to become a Bermudian back in those days. History is not settled on this but it is generally accepted that the triangular lateen sails used by Moorish sailors were familiar to Europeans, and upon arrival in Bermuda the Dutch gentleman played an important role in adapting this type of sail to local boats. The story then goes that widespread adoption combined with constant use and modification led to the evolution of the Bermuda Rig. As early as 1670, in a record from a visiting ship named Marigold, the sails were noted and admired, “With tripple corner’d Sayls they always float about the Islands, in the World there are None in all points that may with them compare…”. Unusual spelling and capitalisation aside, this statement would remain true for centuries as more and more efficient versions of the Rig developed. What started out as multiple triangle-shaped sails attached to multiple masts eventually became two triangle sails attached to one mast, with the forward sail known as a jib and the aft one as a mainsail. To this setup were added a pole extending backwards from the bottom of the mast (the boom) and a pole extending off the front of the boat (the bowsprit). These two innovations allowed Bermuda rigged boats to carry an extraordinary amount of sail, best demonstrated by the iconic Bermuda Fitted Dinghy that still graces our waters today. According to an article published by the National Museum of Bermuda, the Bermuda Rig was largely confined to Bermuda until the 1800s when the British Navy took notice. It’s funny to think that our most useful contribution to the nautical world is a triangle that made travelling the oceans in and around Bermuda better. The sail design also made life for Bermudians better and not just because they could get up the country quicker. Bermudians were also famous for building superior ocean going ships that came to be known as Bermuda Sloops. These ships, made of light and durable Bermuda Cedar, had a hull design that further improved upwind sailing performance and literally made them the fastest ships on the ocean. Through varying and evolving versions of the Bermuda Rig and Sloop, Bermudian sailors, whether inshore or offshore, were at a distinct advantage for a very long time. 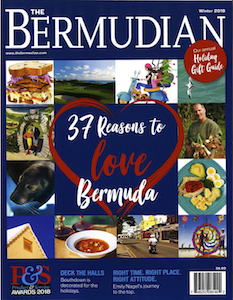 Being entrepreneurial types, Bermudians began running trade up and down the East Coast of America and throughout the Caribbean, thus playing a key role in driving the nascent economy of what would become the United States. They also, periodically, put their sails and ships to the less reputable practices of privateering and blockade running because when pursued, even by bigger ships, they could just turn towards the wind and sail away. This all led to a level of prosperity that defied the country’s isolation and lack of a sustainable cash crop. The commercial success of Bermuda very much originated with and depended on the wind flowing across her sails. And how does it all work? Well, as we saw in the 35th America’s Cup, a sail works pretty much the same way as a wing, except the sail is standing upright and powering the boat towards the wind, as a opposed to a wing which is horizontal and sending a metal tube up in the air. If you want a technical understanding look up Daniel Bernoulli who first explained the principle in 1738. Maybe he’d just come back from a vacation in Bermuda.